For the month of October, we are studying about fear. Fear is real, and we all have fears. But our fears can rob us of a life that God is promising. Fear can lie to us and keep us from what God is promising to us. Do you ever worry about death? Do you fear where you will spend eternity? The Bible talks a lot about both. Jesus spoke about both death & eternity. And the overwhelming answer is... Where you will spend eternity is your choice. You can choose eternal life or eternal death. What would you write in that blank? If you struggle with insecurity, dysfunction & doubts, you're in good company because Moses did too. Join us as we learn from Moses' struggles and learn the promises that God made to him, that he also makes to us. God is the I AM. He is the God who fills in our blanks. In 1 Samuel 14, while King Saul is sitting under a tree, his son Jonathan was attacking the Philistines. In preparing for a fight, Jonathan says, "Perhaps the Lord will help us." Jonathan lived out a daring faith. We should too. As God's people, we should live daring lives. Because we should fear missed opportunities more than we fear making mistakes. In 1 Samuel 17, we read about a young shepherd named David who defeated the Philistine giant named Goliath. David should have been filled with fear. Instead, he was filled with faith. Listen to find out why, and how you can live with the same faith. 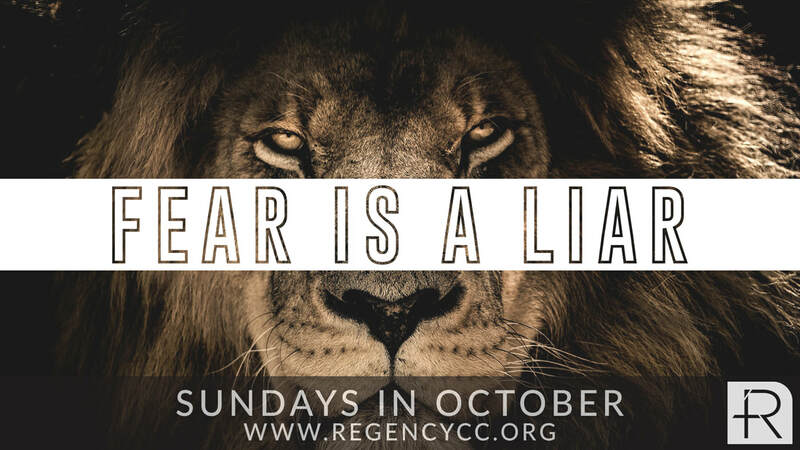 Fear Is A Liar Series Promo from Regency Church of Christ on Vimeo.